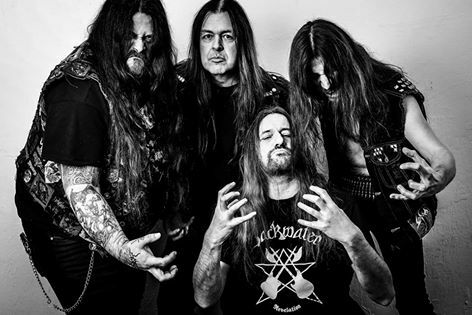 Home » News » Tom Angelripper Announces New SODOM Line-Up! While rumours are still flying thick and fast in the media, Tom Angelripper has already announced the new line-up of his band Sodom! Husky (Asphyx, Desaster) is set to man the drum kit and Frank Blackfire (ex-Sodom, ex-Kreator, Frank Blackfire, Assassin) and Yorck Segatz (Beyondition) have been enlisted on guitars. Sodom have already released seminal albums such as Persecution Mania, the live cut Mortal Way Of Live and the all-time thrash classic Agent Orange with Frank Blackfire. As he had hinted at the beginning of the year, Tom has opted for a line-up featuring two guitarists, somewhat of a novelty for Sodom. Sodom will release a new single in summer 2018 and a new album is to follow in spring 2019, via SPV/Steamhammer.